Take a 3-stop snorkel safari boat excursion on the East End of Grand Cayman. On this 2.5-hour trip you will visit the best, untouched snorkeling reefs in the Cayman Islands with your small group. Enjoy the tranquil waters full of colorful fish and corals. Visit the best snorkeling reefs in the Cayman Islands without another boat in sight. On this 2.5-hour snorkeling trip you will stop at 3 separate locations to get the most of your trip. With a variety of barrier and patch coral reefs ranging from 2 feet to 20 feet (0.6 meters to 6 meters) in depth. Enjoy more than 5 miles (8 kilometers) of untouched reefs filled with marine life. Snorkel with parrotfish, trumpet fish, sea cucumbers, flamingo tongues, sea fans, and much more. Enjoy the crystal clear waters with no currents. 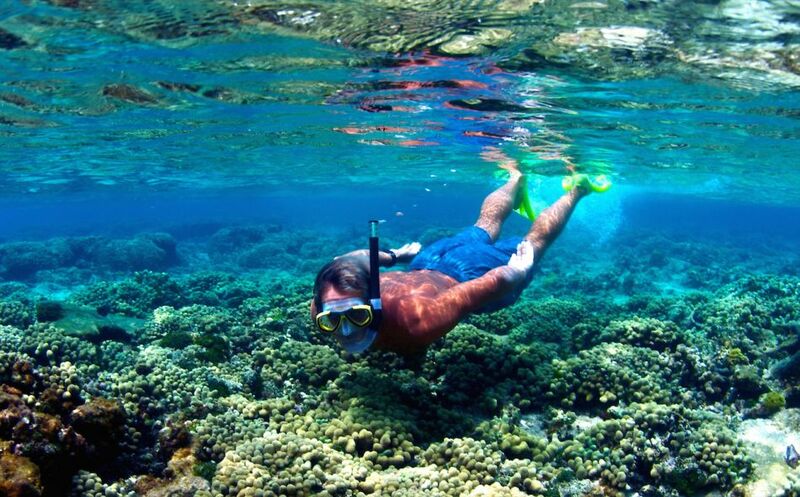 You will visit 3 of the following snorkel sites via snorkel boat: South Channel Gardens, Sunset Reef, Ridgefield Reef, Sunrise Reef, Cannon Reef, and Pooh Corner. Ocean Frontiers will provide all the equipment you need, and your qualified instructors will teach you all the basics to ensure a safe and thoroughly enjoyable experience. Your snorkel vessel, "Top-Cat," was specifically designed for cruising the shallow coral reefs inside the protected East End lagoon. Top-Cat is perfect for conducting snorkel trips and has plenty of shade and seating for up to 10 passengers. The vessel has a large ladder to make entry to and exit from the water easy and simple. This tour involves a boat to reach the snorkel sites. All participants are required to know how to swim. Non-swimmers will not be permitted to board the vessel and take part in this trip. Please do not touch the corals or take any marine life. Camera rentals are available for all trips. Snorkel equipment is included in the price of all trips. Ocean Frontiers prides itself on its personal service and small groups. Your snorkeling guide is a trained naturalist and is also certified in First Aid and Rescue.